Kong Shells Bear: This toy includes a wide variety of textures to please your pug. The soft plush head features soft fabric and embroidered features. The bear's body includes a tough outer ballistic material shell encasing flexible spikes nubs that clean your pug's teeth and gums while they chew. 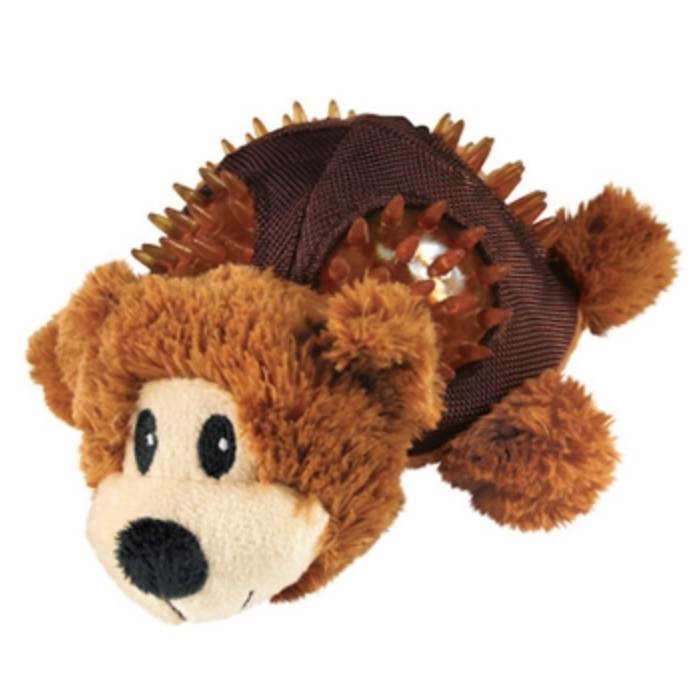 To add even more fun, there is a durable squeaker located in the belly of the bear. This toy measures approximately 5 inches long x 4 inches wide x 2 inches tall.